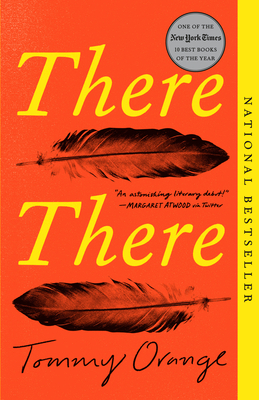 Tommy Orange’s shattering novel follows twelve characters from Native communities: all traveling to the Big Oakland Powwow, all connected to each other in ways they may not yet realize. There is Jacquie Red Feather, newly sober and working to make it back to the family she left behind. Dene Oxendene, who is pulling his life back together after his uncle’s death, has come to work at the powwow to honor his memory. Fourteen-year-old Orvil has come to perform traditional dance for the very first time. Together, this chorus of voices tells of the plight of the urban Native American—grappling with a complex and painful history, with an inheritance of beauty and spirituality, with communion and sacrifice and heroism. Hailed as an instant classic, There There is at once poignant and laugh-out-loud funny, utterly contemporary and always unforgettable. Tommy Orange is a graduate of the MFA program at the Institute of American Indian Arts. An enrolled member of the Cheyenne and Arapaho Tribes of Oklahoma, he was born and raised in Oakland, California.